"Work closely with those that are pushing the edge of the possible and include them in your product development discussions. What do they want to see in your products? How they really use them? What are their dream features? We regularly seek input from our biggest and most innovative customers. It allows us to build better tools and to ensure that we are bringing solutions to market that fill a need. However, we're careful to only use this as one source. The other part of it is knowing when when to purposefully evolve and push people forward beyond what they currently know." 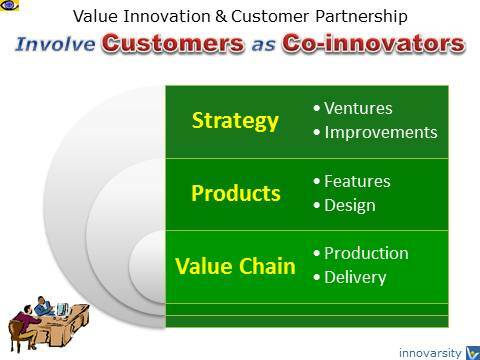 "Customer partnership is a shared journey to create a future for both parties that is better than either could have developed alone. 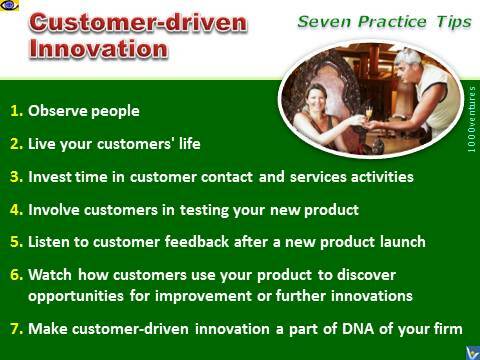 "1 The customer influences every aspect of your business and is the foundation of your organization's success. In today's turbulent times of rapid and chaotic change, "no force is more grounding and stabilizing than a partnership with customers. "1 The term 'customer partnership' we take not so much in its legal definition of co-ownership but rather in its sense of sharing in benefits, profits and losses of your company. 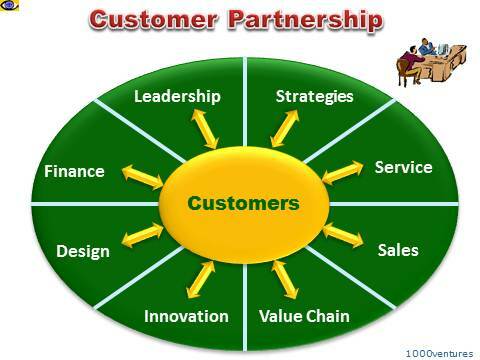 Customer partnership is more than "putting customers first", or finding mutually satisfactory solutions to shared problems, or a dedication to excellence in every sale or service encounter. It also requires commitment to forging long-term relationships that create synergies of knowledge, security, and adaptability for both parties. Because only corporate leaders have the ability to significantly change an organization, design radically new value innovation strategies and deploy the resources required to pursue boldly big opportunities, it is imperative that people at the top be in regular and direct contact with customers.